A basic for your winter wardrobe which offers maximum comfort at the waist, comfortably wide legs and is attractively narrow at the ankles. These OSKA trousers with a low crotch harmonize with all tops – from short and wide-cut to long and fitted. Flowing high quality fabric flatters the silhouette. 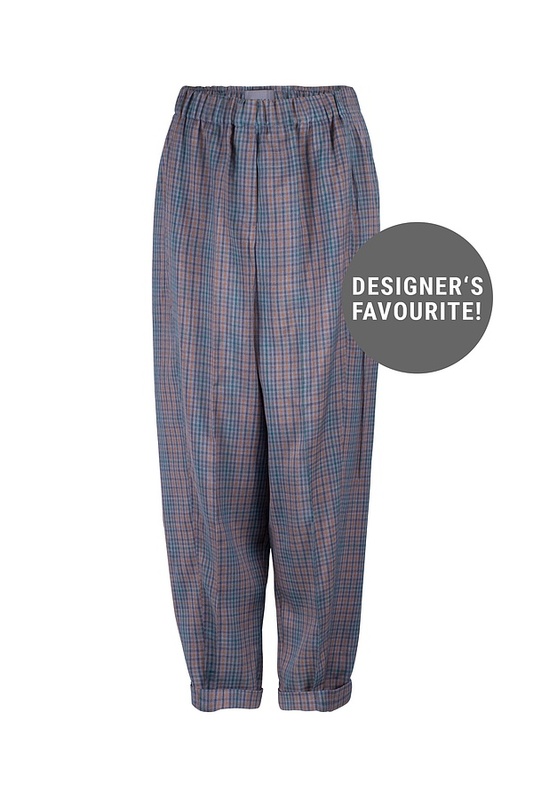 An all-round elastic waistband, pockets at the front and a patch pocket on the back complete these trousers. Our model is 1,78 meters tall (5.8 feet) and wears size 2.